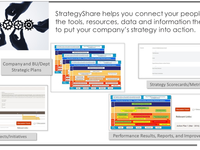 StrategyShare is a comprehensive but simple strategy platform that connects your employees with the tools, resources, data, and information they need to put your companys strategy into action and translate it into results (with less wasted time and effort, and fewer headaches and mis-steps). 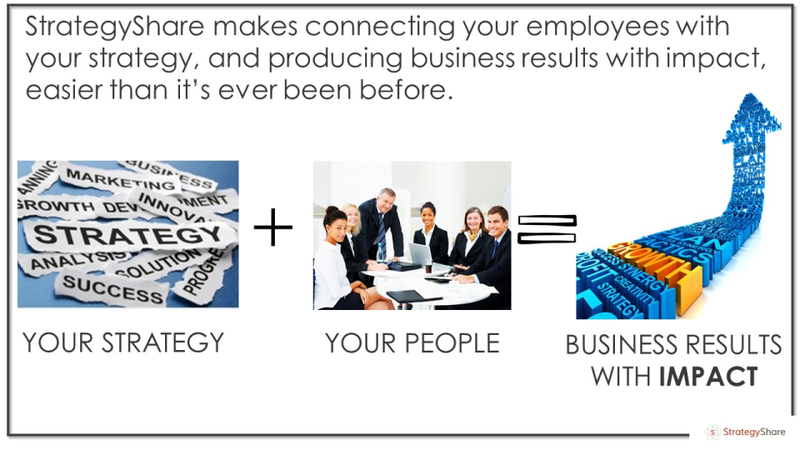 Incorporating the most powerful elements of the Balanced Scorecard approach, StrategyShare streamlines strategy implementation and makes it easier for everyone to work together to achieve business results. 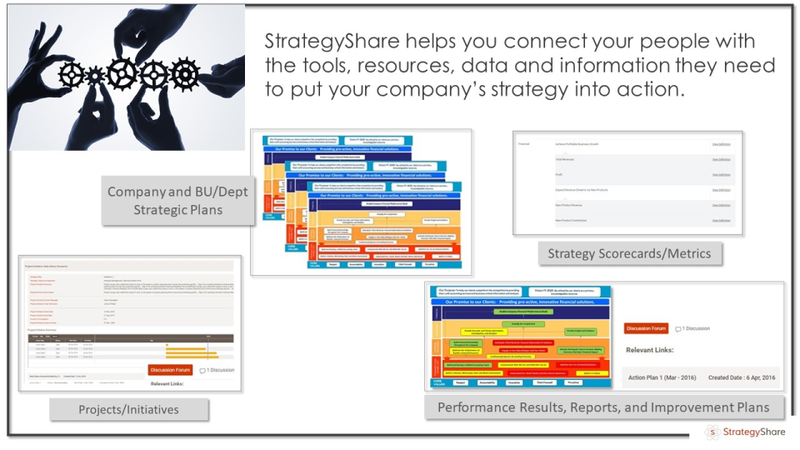 StrategyShare will be a key catalyst for improving strategy development and sharing! Comments: Strategic alignment is an elusive and often impossible goal to pursue for most organizations today. 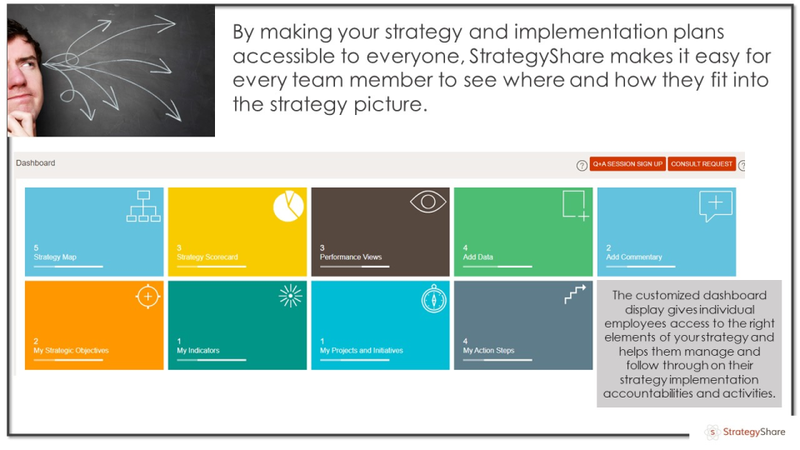 StrategyShare is about to change this over time and make this a highly obtainable and desirable goal for many organizations, no matter the size. 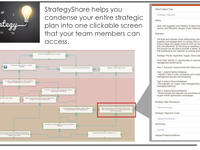 This software takes the traditional view of setting strategy (i.e. senior leadership heading offsite for 3 days, producing glossy documents that collect dust through the year) and turns it upside down! The very name of this product should tell you what it is about -- developing, engaging and sharing your organizational strategy with the key people that will be responsible for executing it - those closest to the work. 1. Site pages are clean, very professional looking and easy to navigate through all of its features. 2. The software walks you through the 7 steps of creating a strategy map and it is clear which step you are on and what you need to do next. 3. Since the software was built on using 'best practice' processes for strategy development and sharing, I have a good sense that I can do this without engaging with costly consultants. I have the confidence Sandy is just an email or phone call away if I have any questions. We have 3 departments within Corporate Services where I work and I see this as being a key tool to improve the quality of objectives we set, communicate the objectives far better than we ever have before and be able to monitor our progress in execution. 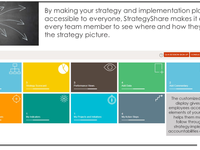 I highly recommend exploring StrategyShare further to see how it could transform the way your organization manages strategy development and execution. The built-in guidance features ensure those new to strategy map / balance scorecard development are provided with expert tips along the journey. The collaborative/consultative approach this software package provides forces users to ask all the right questions while developing strategy - delivering a well developed/aligned result. The ease of indicator set-up / weighting and the visual display of results allow those responsible for strategy execution to quickly identify whether the strategy is succeeding or requires revision. This is the complete package... years of consulting expertise bundled into an intuitive platform, at a fraction of the price of competitors. 5 stars across the board. 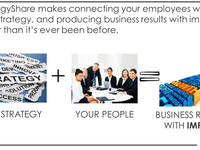 This is a fantastic strategy management application. It's simple and immediately impactful. 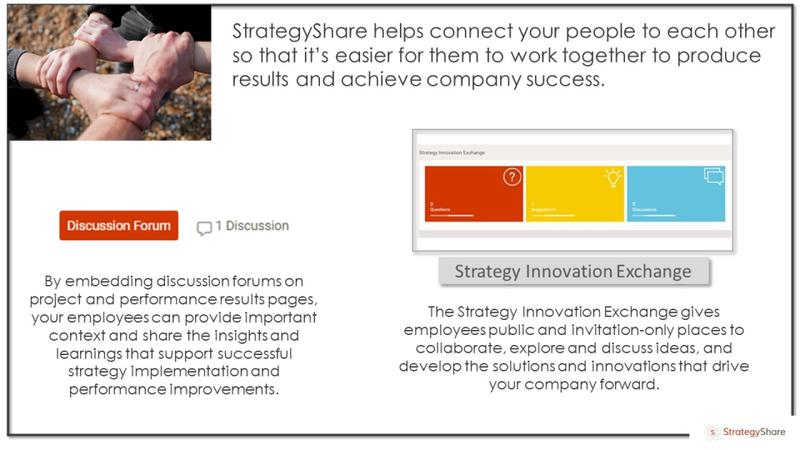 Comments: Strategy Share is a rock solid application for helping an executive get their arms around strategy execution. Too many executives rely on excel and other legacy systems that are either overly complex or are frankly too cumbersome. 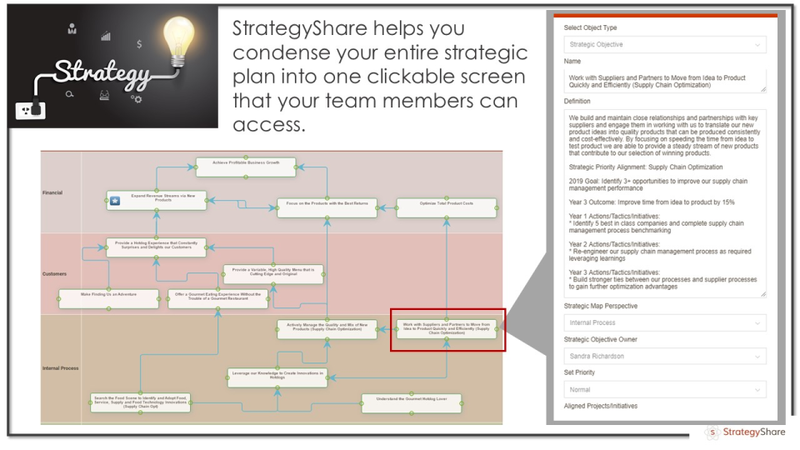 This application allowed us to create a strategy map and begin connecting the dots immediately in a way that actually surprised us. The tool excels at simplicity, which is important because systems like this can feel daunting to the point of demotivating. Basically, we have no excuse now as a team. We all know the game plan and we each understand our contributions to the strategy. If we don't execute now we certainly can't blame the application!